This spring our buying really showcases a relaxed and laid back feel but we’ve paid even more close attention to the detailing, adding extra pocket trim, toned stitching, using some amazing new cloths and combining with plenty of exciting waistcoat options. Indigo Blues, Light fused Greys and neutral tones give a wonderfully light, spring feel to our collection and look great with a bold Eton shirt and the addition of a pocket square to finish off an effortless smart yet casual look that screams Spring. Tonal Ticket pocket detail, contrast stitching and laid back patch pocket looks great with a crisp white shirt and pocket square adds a splash of Spring colour. 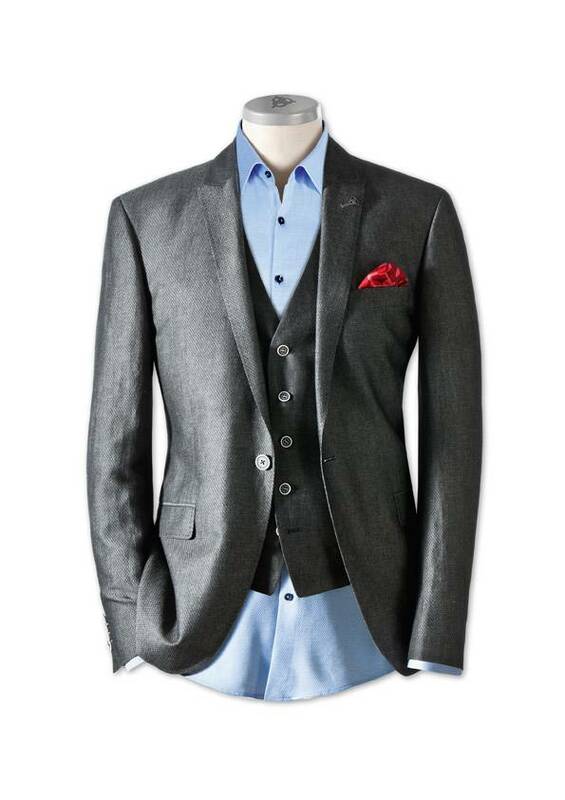 Love this combination of lightweight Linen jacket and statement Waistcoat in a deeper shade of Blue compliments the jacket perfectly.